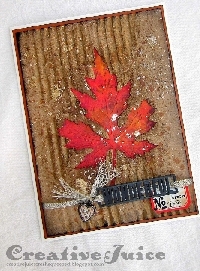 Create an ATC (2 1/2” x 3 1/2” non- bendable Card) for Fall Fun 2018 with references to Fall Foliage on it. Fall is really here and the foliage agrees! Your ATC may have Fall colors, colored leaves, bare trees, leaf piles. I’m thinking of beautiful scenes, raking leaves in the yard, leaf rubbings. Your ATC can be hand crafted, drawn or painted. You may embellish with ephemera or quality stickers. They can be part of a scene or simply the symbols. Let the change in the Seasons and Fall Foliage be your muse. Put the name of the swap on the envelope please. Label the back of the ATC with the swap name, date and your username for ease of rating. Extras included are your choice but not required. Rate a five if requirements met. Active swappers only, rate quickly and please no flakers. Enjoy!